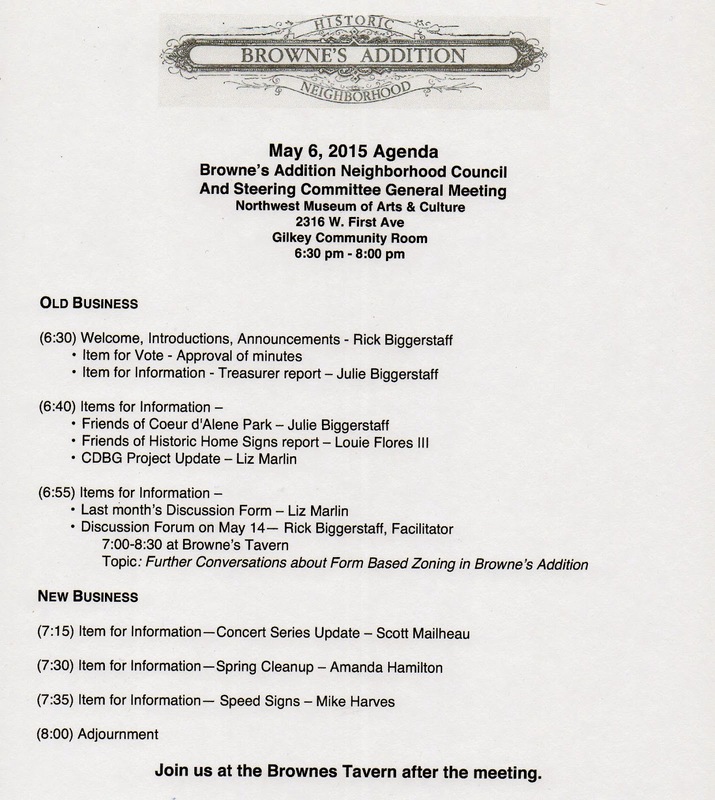 Announcing the May Edition of your Neighborhood Council's General Meeting. We meet this Wednesday evening, May 6, 2015 at 6:30pm, downstairs in the Museum of Arts and Culture. If you are new to the neighborhood, this is a great time to become familiar with your Neighborhood Council and how it functions. 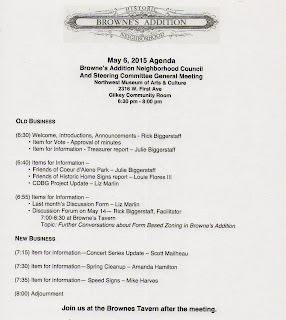 If you are an "old timer" here in Browne's Addition, we would like to see you again. Check out this month's agenda below.